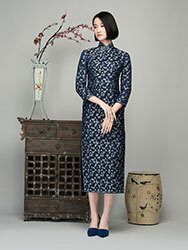 description:Two tone glamorous and stunning brocade cheongsam! 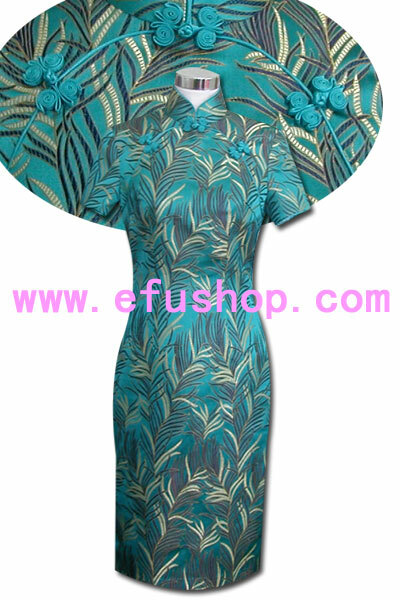 Float grass cover all the dress, full length, no opening. Two ears button, single piping, short sleeves.